My friend Sofia recently held a workshop for “Re-Booting Your Instagram” for an intimate group of local bloggers and small businesses. Sofia is an amazing photographer and her Instagram and marketing skills are in my opinion, top notch. The workshop took place over a span of almost two hours and included a powerpoint presentation and a Q&A session. ** Your profile bio should be clear and concise. ** Your URL should link to your blog, business site or event you are promoting. 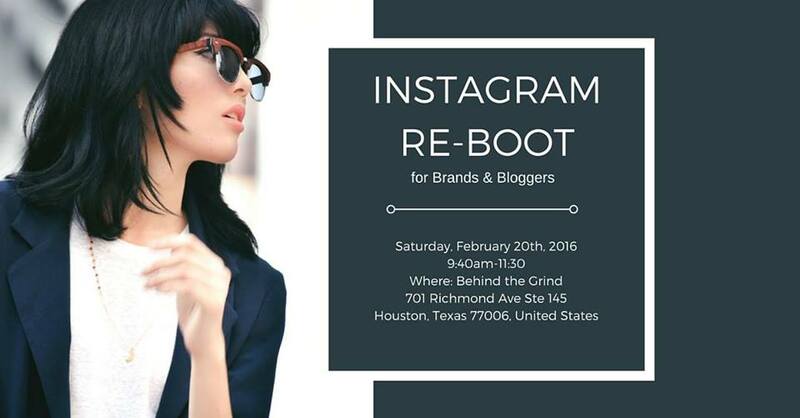 If you are a local Houston blogger or business owner who would like to re-boot your social media and marketing strategies, check out itssofiaemm.com.